One of the many types of foods and snacks that one must give up in the pursuit of a dazzling smile is chewing gum. 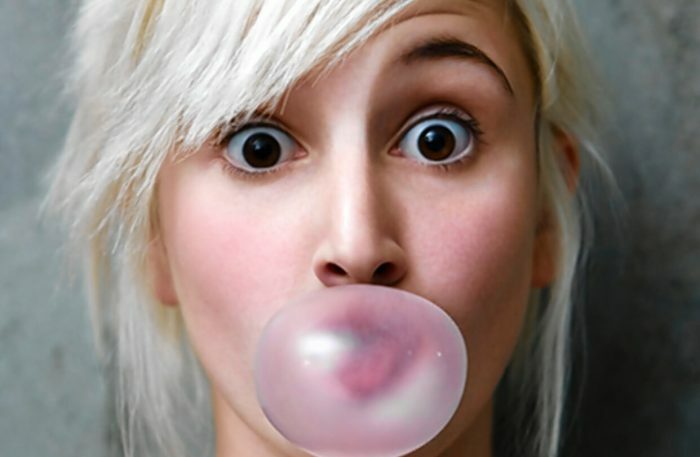 A common gripe among wearers of braces is that they wish with all of their might they could still enjoy chewing gum, but they know that it is not recommended. Still, many ask their orthodontists the burning question — “can you chew gum with braces?”. Unfortunately, the answer is no. This article will provide the reason why chewing gum with braces is not a good idea, along with other foods you should avoid when you wear braces. Why Can’t You Chew Gum with Braces? Can you chew gum with braces? The answer is no, and the main reason why it is not recommended to chew gum when you have braces is that the wires that your braces are made from will bend. If a straight wire is put into your mouth to move the teeth, as it so often is, and you choose to chew gum, the wire can be severely bent. So, the answer to the question “can you chew gum with braces” is a straightforward no. When the wire bends, the teeth move along with the bent wire. This means that the next time you go in for an orthodontic appointment, your orthodontist will see this and will have to correct the wire to save your teeth. What this means is an extended treatment period with your braces. Another thing to consider is that as teeth become straighter, there is less of a need for pressure to move the teeth. If you chew gum, your teeth will hurt longer than they should as you keep moving them into unacceptable positions. Your orthodontist will have to put pressure on them to move your teeth back, causing more pain and discomfort than you would normally experience. While chewing gum may not pull off the braces, it could damage the wires and perhaps the brackets themselves. Gum will indeed stick to the braces, and it is difficult to clean off the stuck-on gum without damaging the wiring, as well. Can You Chew Sugar Free Gum with Braces? Many have heard a rumor that they can chew sugarfree gum in order to skip the bad stuff that may get caught behind the brackets, but this is still counterproductive. It is not so much the sugar in the gum as it is the gum itself, and no matter the sugar content, gum will still bend brackets, so no, you cannot chew sugar free gum with braces. What Else Should You Avoid Besides Chewing Gum? Along with chewing gum with braces, there are other foods that a patient simply should not be eating when they have braces. Foods that can crack the brackets, get stuck behind them, or wrap around them are not recommended. For the same reason as chewing gum, sticky, gooey foods should also be avoided as to not bend the delicate wiring. You may miss certain candies and foods, but think about the beautiful smile you will have for the rest of your life, a life where your perfectly straight teeth will allow you to eat whatever you want. Just hang in there and remember to avoid the following food items. Getting braces changes your life. Not only is it going to provide you with an elegant smile that you will love to show off for the rest of your life, but it will also temporarily change the way you have to look at foods, drinks, and candies. Giving up chewing gum is a small price to pay for a perfect smile. Giving up other items such as sugary drinks, candies, and hard snacks and foods is another important thing that must be done. However, once everything is over, and all is said and done, you will have a lifetime to enjoy these foods with the added benefit of a bright, white, perfectly straight smile. What do you think? Were you hoping for a different answer to the question “Can you chew gum with braces?” Have you ever had to get your wires corrected because of the foods you ate? What do you think about giving up some of these items? Tell us in the “Comments” section! Yes! The one downfall that everyone hears about wearing braces – no gum! Along with a list of other foods you cannot have. Basically, if it’s stick, it’s definitely out!